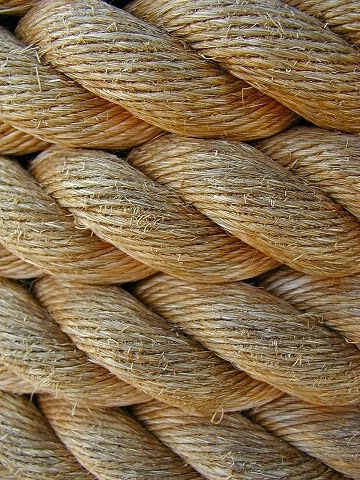 What is it I love about rope? You can tie it, bend it, mold it and format potters clay. If you mess it up, it straightens out, over and over again for another day. It's useful, decorative, conforms to my imagination and will. When I'm done with it, I just put it down, and it waits for me so still to play another day. Sadly, I'm afraid rope has other uses; like over the limb of a hangman's bough. But proudly it does its job, serving its purpose, forever neutral to the user's intentions. For me it will always be a useful, creative and trustworthy friend, that does its best to serve my needs. Thanks rope!